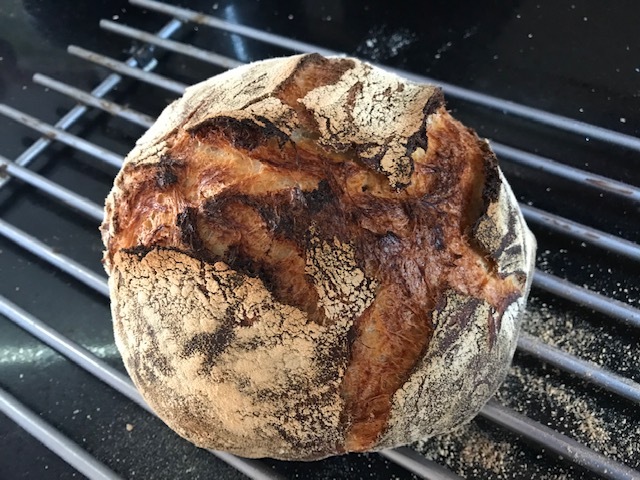 What a difference a Really hot oven makes! After a final proofing of 3.6 hrs, the loaf was baked in a very hot oven! The total prep time for this is about 16 hrs. Why does it look so good? Yesterday, the heating element in my oven was replaced. Look at the cracks! Look at the dark color of the crust (this has intense flavor)! This is the lightest loaf I have made. I had to explain to my husband why it was special. Then he tasted it and I didn’t have to explain anything else. The crust is crispy, the interior light (sandwich worthy). 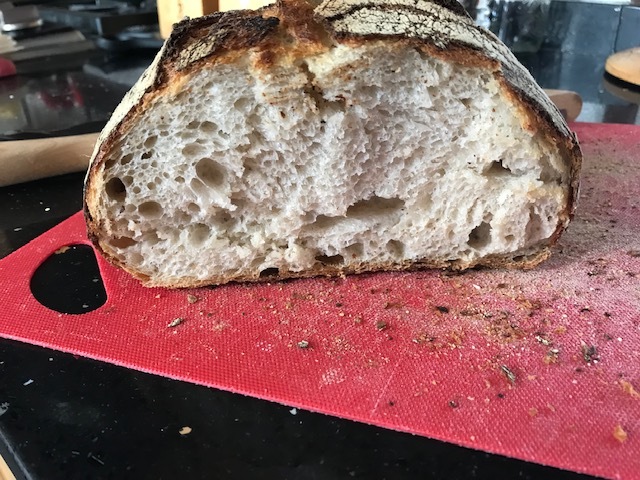 Most of my previous loaves were a bit denser. Honestly, I don’t know if it is going to make it to Monday.